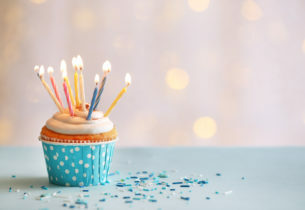 One of the newest trends in philanthropic circles nowadays is to throw your own virtual birthday party and request that instead of receiving gifts, your guests donate to Harbor House of Central Florida, a women’s shelter dedicated to providing safe haven to women, men, children, and a domestic abuse survivor’s pet(s). The need for community financial support is great, and we are always grateful for the generosity extended. “The Donate Your Birthday Campaign” was designed to help you let your friends, coworkers, and family know that instead of giving you a gift to celebrate your special day, you are choosing to have them donate to Harbor House on your behalf. You can invite as many people as you want to your birthday party. In fact, the more people, the merrier! Think of it a way to avoid the hassle of receiving an item you’ll have to exchange later, getting a gift card that you’ll never use, or getting something you will never use, while the box sits in the back of your closet, collecting dust. Remember: Harbor House is not just a women’s shelter. It is a place of hope for those involved in unhealthy relationships. Our shelter and outreach programs educate survivors and others about the signs of domestic violence, dating violence, and bullying. Shouldn’t your wish be that all domestic violence comes to an end? You can help direct financial assistance that will benefit the people residing at Harbor House. It’s easy to organize and requires just a few minutes of your time. You have nothing to lose, while the community has everything to gain. So, throw yourself a birthday party this year and help Harbor House continue to provide resources and safe haven to those in need!